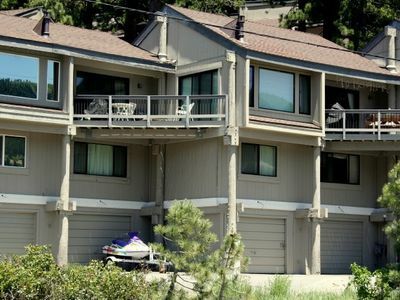 This secluded Tahoe condo is suitable for families, multiple couples, and groups and provides easy access to conveniences as well as shared amenities like a sauna, hot tub, and a pool. 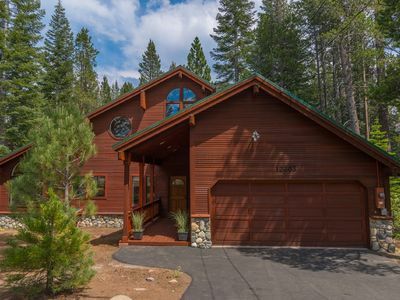 Situated less than a mile from Northstar California Resort on the outskirts of Truckee, this rental is close to skiing and hiking, as well as conveniences, with Truckee just eight miles away. Please note that traveling to this area in the winter may require traction devices or four-wheel drive. 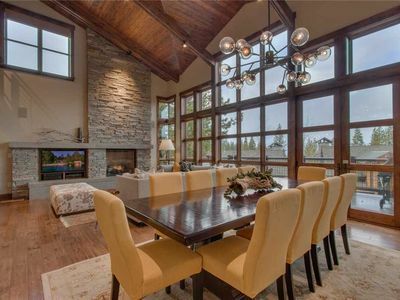 The interior is cozy yet spacious with vaulted ceilings, lots of windows, and wood accents throughout. 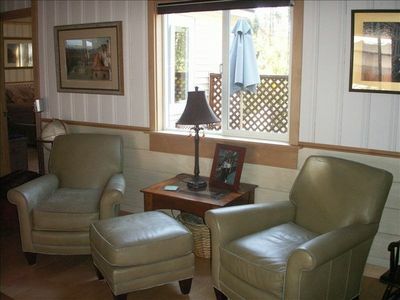 The living room features leather furnishings, a cable TV with DVD/VCR, and complimentary WiFi is also available in this home. 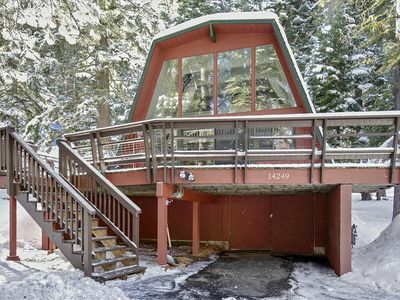 There's a balcony, accessible through sliding glass doors boasting beautiful views. 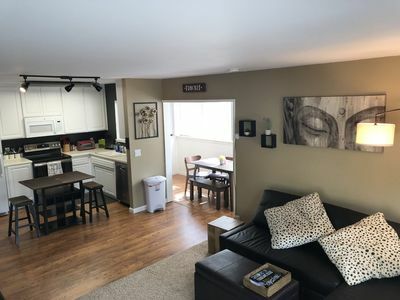 The dining area has a large table with stylish leather chairs, and the galley-style kitchen has white standard appliances, including a dishwasher, as well as plenty of windows for natural light. 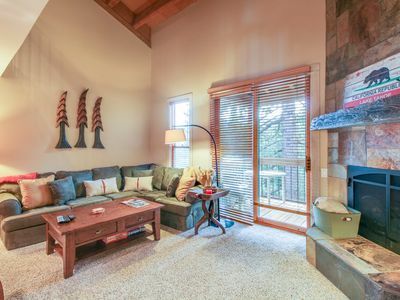 This two-bedroom, one-and-a-half bath condo accommodates up to eight guests. The master bedroom has a queen-size bed, and the second bedroom has two twin bunks. 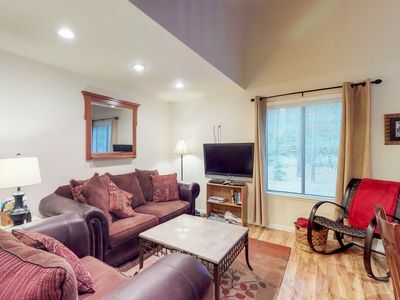 There's also an additional sleeper sofa, as well as a washer and dryer. 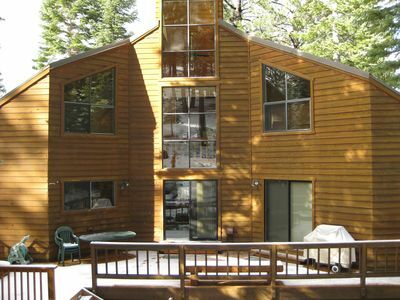 Hiking is nearby, and Northstar Resort Stables provides horseback riding, offering beautiful views of the High Sierras. 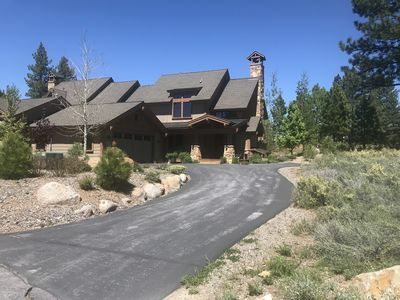 Northstar Golf Course Club is only two miles away, and Truckee Thursdays featuring art, music, and food, as well as Donner Lake are also must-see activities in the area. 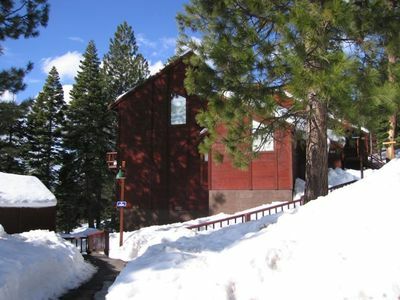 Northstar California Resort has 3,170 skiable acres and seven trails, providing plentiful winter activities. 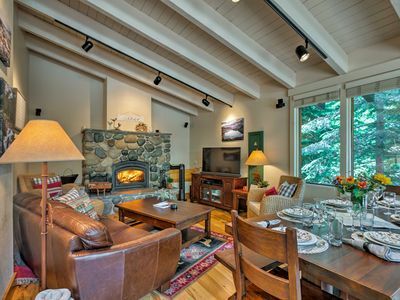 The Cross Country, Telemark, and Snowshoe Center is less than a mile away, and Sugar Bowl Ski Resort is 18 mies away. 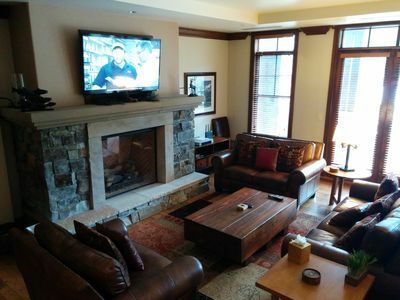 The Village offers shopping and dining options year round, and the NPOA Rec Center has shared amenities (for a small fee), like a sauna, hot tub, and pool, among others. 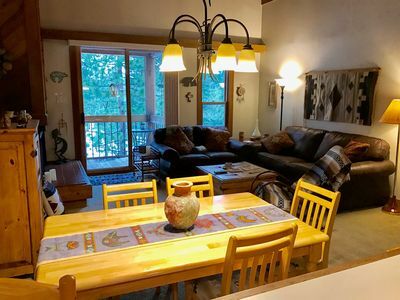 No matter when you visit, this lovely rental will provide you and your guests with all you need for a fun, stress-free vacation. Make your reservation now! Parking Notes: There will be parking passes in the condo. Please fill out completely and place them in your vehicles as soon as you arrive. Tickets are issued frequently and you are subject to tow without the pass. 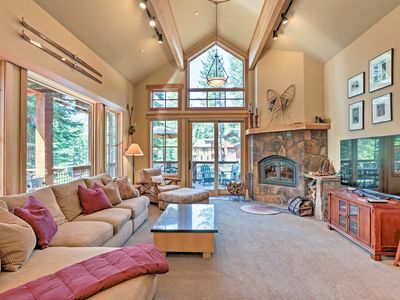 If there are no passes to be found, please call Vacasa at (503) 345-9399. Optionally, In an effort to recycle, you may fill out the pass in pencil and return the passes for the next guest. 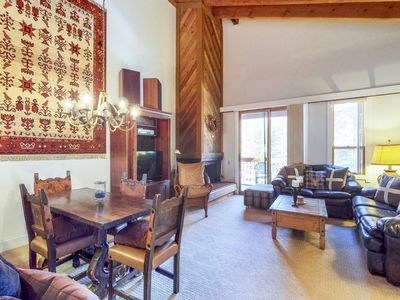 Awesome Northstar Luxury Condo!!! 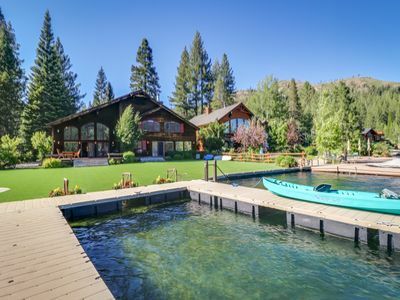 Fabulous Location!!! Minutes to Village!!! 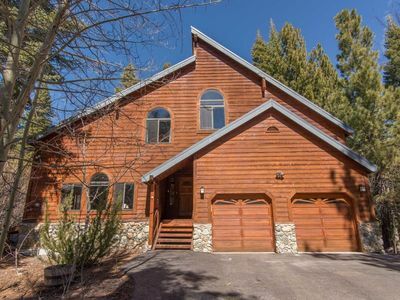 Spacious home w/pool table & ping pong-perfect for reunions and large families! 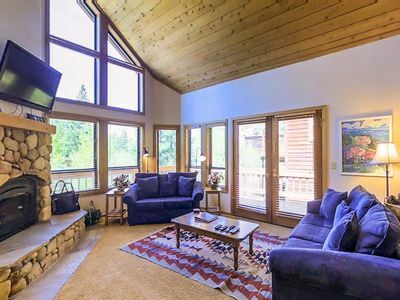 Cozy, cabin-style home w/ balcony & partial lake views - close to town. Dogs OK! 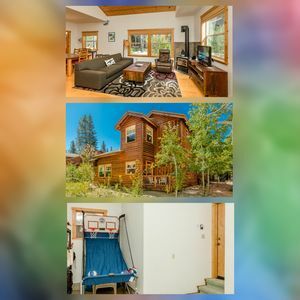 Northstar Home - 2-Min Walk to Village & Gondola! 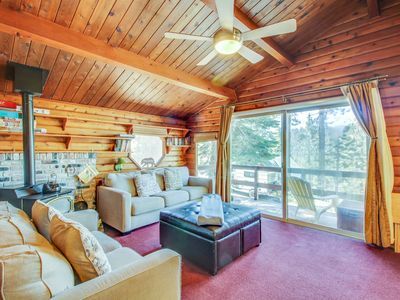 Delightful Mountain Cabin - Walk to Donner Lake!